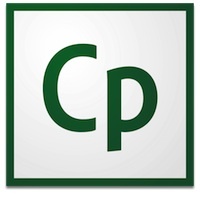 This class is a continuation of the concepts covered in Captivate Essentials - An Introduction to Captivate. In this course you will fine-tune those concepts by learning about object styles, master slides, themes and advanced actions. You will be able to personalize your presentations with variables and branching scenarios that will help decide the best path for the learner. You will learn to make your presentations Section 508-compliant with accessibility text and closed captions. Finally, you will learn how to transform your presentations from eLearning to mLearning (mobile learning).